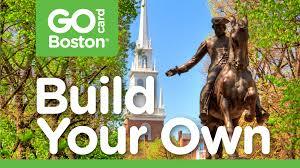 Do you have a story you are trying to tell about Boston’s Freedom Trail and/or its official historic sites? As the non-profit organization established to promote and market the Freedom Trail, the Freedom Trail Foundation team is pleased to help with media requests and looks forward to answering questions. High resolution photos of the Freedom Trail, official historic sites, and Freedom Trail Players are available for qualified members of the press. Additionally, the Foundation team is available to schedule interviews, review content for accuracy, and coordinate press visits to the Freedom Trail. Networks or production companies interested in filming along the Freedom Trail must contact the Foundation to discuss guidelines and opportunities; the Foundation is able to assist companies to submit proposals to the appropriate entities to secure permits, approvals, etc. For time-sensitive (tight deadline) assistance, please call (617) 357-8300. For all other inquiries, please contact us here.